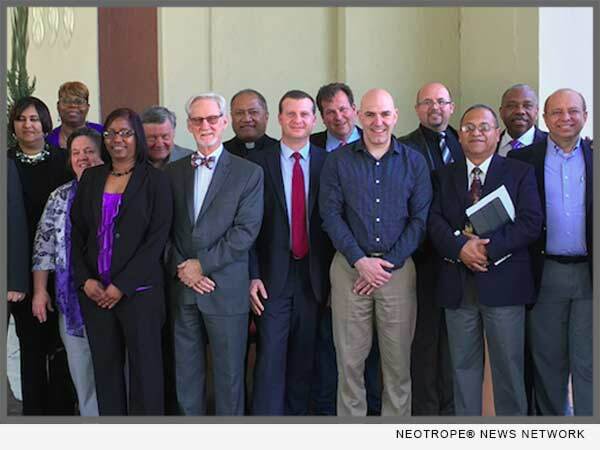 LOS ANGELES, Calif. /California Newswire/ — The International Association of Bible Colleges and Seminaries (IABCS) held their annual meeting in Atlanta, Georgia on April 10, 2017, announced United States Ecclesiastical Society and Seminary (USESS), and The University of Los Angeles College of Divinity (ULA). The IABCS under the inspired leadership of President Randal Langley is a first class gold standard non-governmental accreditation organization for Christian Colleges and Universities existing for over 63 years. The IABCS is an educational association whose purpose is to establish a standard for quality education in the Christian Community among post secondary educational institutions. The process of developing and maintaining quality Christian education is achieved through the mutual efforts of the educational institutions voluntarily reviewing themselves, and the reviewing association maintaining high standards and determining compliance through documentation, review and onsite visitations. As the oldest and longest running theological accreditation organization in the USA, IACBS is committed to a standard of excellence and maintain a wonderful legacy and tradition of history that spans over six decades. Mindful of this excellence and history it is with great pride that the University of Los Angeles College of Divinity is both humbled and honored to be accepted into the IACBS and looks forward to a long association and a mutually beneficial experience of sharing Christian ideals and educational values with other member institutions. Dr. Rev. Misi Tagaloa, Senior Pastor of the Second Samoan Church in Long Beach, Calif. represented University of Los Angeles College of Divinity at the conference and came away impressed with the leadership and strong Christian spirit present among all the member institutions. “I am so proud to be associated with the Christian leaders in education of the IACBS whom I met at the annual meeting. Leaders such as Dr. Dwight Martin, President of Florida Beacon College and Seminary and Dr. George Siemer of Faith Theological Seminary and Christian College are amazing men of God filled with the Holy Spirit. “It is clear that we are in good hands with President Randal Langley at the head of the IACBS. He is supported by the amazing Dr. Virginia Cornett and Rev. Henry Reyenga, who is both inspired and brilliant,” said Rev. Misi as Vice President of the University of Los Angeles College of Divinity. The University of Los Angeles College of Divinity (ULA) proudly educates Christian leaders in the inner city of Los Angeles. Located in Compton, California, ULA promotes Christian education for leaders in the Christian Community and for Pastors world-wide offering Associate, Bachelors and Doctorate degrees as well as ordination and certificates in various areas of religious study. The University of Los Angeles College of Divinity was established in 1982 by church leaders and has long upheld a high standard of biblical education and study which is further enhanced by membership in the IACBS. For more information, visit: http://universityoflosangeles.org/. *PHOTO Caption: Membership of IACBS at Annual Accreditation Meeting in Atlanta, Georgia April, 2017.